Swindon-headquartered law firm Thrings has appointed commercial property expert Fionnuala Nolan as a partner to advise its fast-growing portfolio of real estate sector clients. Fionnuala, pictured, who joined from City law firm Banks Kelly Solicitors, has more than 20 years’ experience in the areas of retail, property development and property trading. Based in Thrings’ London office and working with partner Alison Jarvis’ commercial property team, she is providing legal expertise to high-end luxury retailers, UK property developers, European and UK investors, trading companies, banks and industrial clients. She will also work closely with Thrings lawyers based in its Swindon headquarters and in its offices in Bath, Bristol and Hampshire. Fionnuala has advised on several high-profile and complex deals in the City, including the property aspects of PPP (public-private partnership) projects and carrying through acquisitions and disposals, landlord and tenant negotiations, put and call options, development agreements, auction acquisitions and conditional contracts. 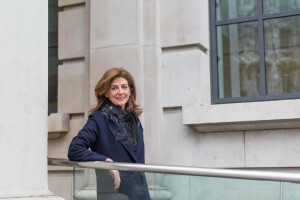 She has also worked with well-known Italian luxury retail brands, helping secure sites in key locations such as Bond Street, the Bluewater shopping centre in Kent and Manchester’s Trafford Centre and is currently advising on a flagship HQ installation in London’s Mayfair. During the past year she has also worked on the financing of large-scale property portfolios, contracts conditional upon planning, enforcement of hostile section 25 notices, access issues, rights granted and reserved and complex part transfers. Fionnuala said: “Thrings’ commercial property team offers recognised expertise across a range of sectors including development, construction, retail and secured lending, all of which provide the support and protection necessary for developer and retail clients to succeed in an increasingly competitive commercial property market. Thrings managing partner Simon Holdsworth added: “Welcoming Fionnuala to the team is a real coup for Thrings. She has a first-rate reputation and great experience in the high-end luxury retail sector, acting for leading Italian and German retail operators and their financial backers.